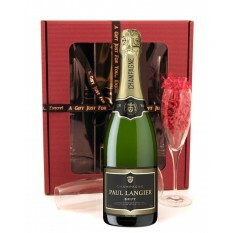 Searching for Champagne Gifts? 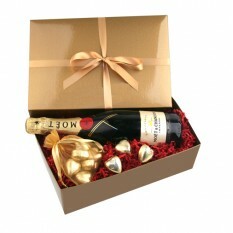 Whether it's a single bottle or one of our stylish gift boxes, nothing quite says "Congratulations!" better than a glass of sparkling champagne! 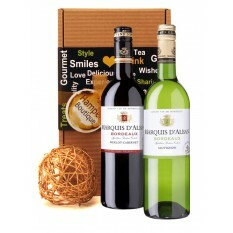 Partner it with mouth watering chocolates and you have a delectable duo good enough to celebrate any special occasion. 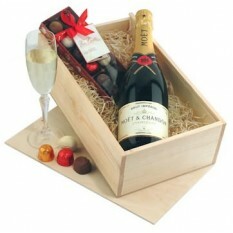 We have a selection of traditional wicker baskets or stylish showcase boxes to choose from. 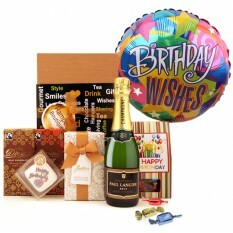 Each gift includes exclusive printed ribbon and gift wrap for a special added touch. 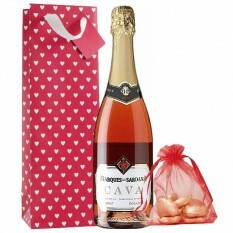 Why are Champagne Gifts so Popular? The popularity of Champagne is mostly due to the success of its marketing. Used to toast Royalty and launch ships it is synonymous with celebrations! 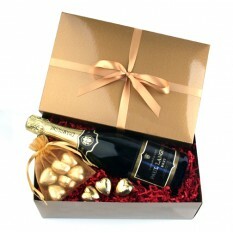 We agree Champagne makes the perfect gift for friends, family and colleagues who are celebrating a special occasion. Opening a hamper to reveal a bottle of bubbly is a wonderful and exciting experience. And hearing the fizz of bubbles as you fill the flute glass adds magic to any special moment don you think? Most people would usually associate champagne with extravagance and wealth. But thankfully it now exists at an affordable price, whilst retaining its luxurious taste and image. 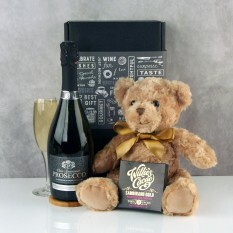 We know the importance and popularity of Champagne gifts and work hard to provide you with a range of beautiful gifts to compliment the drink. 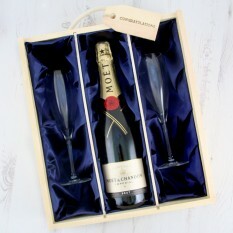 Whether it’s personalised flutes encrusted with crystals, or a gift set accompanied by plenty of delicious chocolates, each will be beautifully gift wrapped for the ultimate tasteful presentation. You also have the opportunity to add a personalised message of your choice and a photo card to create a beautiful keepsake gift. And if you’re in a hurry, we’ll get your gift delivered on time so there’s no need for you to worry! Want to read more? Take a look at our blog to learn more about the history of champagne! Thanks Smart Gift - Perfect last minute Wedding gift. Added gift card which was a nice touch. Hadn't seen that elsewhere. My sister sent me a pic of the hamper on arrival and im so thrilled it looked wonderful and she was very happy! 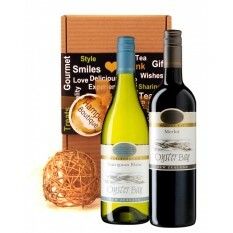 Couldnt recommend their new parent hampers and their service more!